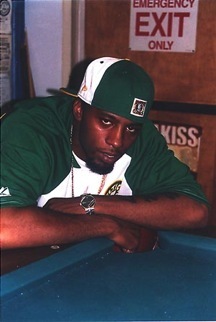 Jinx was an Yonkers artist that had a buzz in 2003 after being on a couple of DMX sound tracks. You can read more about Yonkers and where their artist are now in issue #22 of 4Front Magazine. “Yonkers is small but it’s big enough to get lost in and small enough to where you can know everybody. We have about six hoods and four projects. I’m from the 70 Building we call that murder gardens. 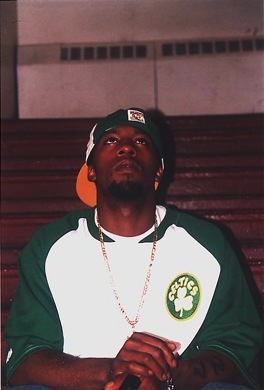 Where I’m from there are a lot real cats.” That’s how rapper Jinx describes Yonkers. Jinx has been rapping along side DMX since the early days of X’s career. Now that the door is open Jinx plans to make his mark in Hip Hop. “I have recorded a lot of joints. All together I have about two hours of s#!t. Lately though I have just been doing freestyles. I haven’t done any songs so I just have to get back in the studio and knock out another album. Most rappers listen to a beat and format their songs, most of my songs are formatted already. Now I just need the beats. If I find the beat give me two months and I will give you two albums.” Even with his hard work and association with DMX, entry into the Hip Hop industry has not been an easy one. “This has been a long up hill battle. There are a lot of people in Yonkers waiting for me because they know I’m due. My track record shows that. I have won hundreds of battles. For two year I was locked down in four different jails. Every jail I went it was 20 different battles and I was taking cats out. I went to a lot of different places. In those years being with X I was taking cats out. All those f@$king college battles I was taking cats down. So called rappers that are signed out here (in Yonkers) they don’t want to battle. We put up paper and cats are supposed to met in different places but cats duck out. "I look at cats and be like you guys are on. You got a record deal you have a chance to let the world hear your music and you guys aren’t taking advantage of it. I don’t understand how these cats be putting out this so so s#!t everyday." Another Brooklyn rapper goes by the name Jinx (who puts the tag Da Juvy at the end) might get confused with the Yonkers Jinx. “Duke (Jinx Da Juvy) isn’t even nice but he’s on Def Jam so he gets a lot of chances. This cat is on mixtapes and is featured with Fabolous and he’s not shining yet. The little chance I got I have had more of a buzz.” Two rappers with the same name just can’t make it in this competitive industry someone will have to fall back soon. Jinx from Yonkers wants to be the only rapper with the name Jinx and tells a story about how one day he almost caught up with the Brooklyn Jinx to rectify the situation. One day I almost caught him (Jinx da Juvy) in the Def Jam building. Jinx Da Juvy’s man was standing there while he was one of the offices. I was reciting my verse from the Great Depression album and I was like I’m the real Jinx. His man disappeared but never came back out with Jinx Da Juvy. Since we are in the Def Jam building that was the perfect place to battle. We both are not a hundred deep, we both are here to handle business I had one or two people with me and he had one or two people with him. I wanted to be like I’m the real Jinx you’re the fake Jinx we can battle for the name but I never got to see him that day. Jinx wants to plan a battle on 106 Park a special edition of Freestyle Friday to compete for the name. “I look at cats and be like you guys are on. You got a record deal you have a chance to let the world hear your music and you guys aren’t taking advantage of it. I don’t understand how these cats be putting out this so so s#!t everyday.” Jinx says he will hit you with many subjects on his album. “ Me, I’m thug music all day but you have to put some diversity on your album. You got to have something for the kids, something for the older people, something about life. It can’t be all about shot’em kill’em and the cats that talk the street s#!t don’t have the rap sheet to prove it. I will take you to some of these cats blocks you will be like where the hell are we, is this Connecticut or something? This isn’t the Yonkers I heard of.” Jinx is working with Superior and Bloodline Records and will be on the “Never Die Alone” soundtrack. “In next five year I will be either at the top of the rap game or in jail because these cops hate me around here.”.